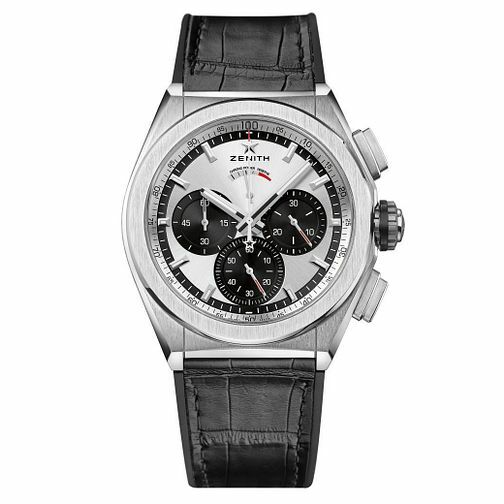 Zenith crafts a precise timepiece made in titanium, known as a very extremely durable and strong material often used for machinery or vehicles. The three separate subdials allow you to enhance your timekeeping and an extremely detailed dial with five-second increments. The watch is secured with a black strap for more comfortable wearing.